we all needs sanctification in order to enjoy glorification. Sanctification is what gives us the ability to live above sin and position him or her to receive answers to prayers. Bad habits bow at the feet of sanctification. Only the sanctified can really deal with the mystery of iniquity. Like I said in season one, when you identify a bad habit, you must be willing to stop by adopting a workable solution to make it happen. In this season two am going list out the six ways you can start breaking bad habits. Please note that am not going to start listing the bad habits one after the other but am giving out the general ways in which you can tackle this destinies destroyer out from your life. I declare and degree by the power of the word in Philippians chapter 4 verse 13 that you can do all things through Christ that strengthen you in Jesus’ Name. Amen. Now to free ourselves from bad habits, we must be able to stop hiding the truth from ourselves. Weather good or bad, a habit is a learned behavior and can be change. Denial: you have to want to come out of this evil cobweb by denying it and pronouncing Jesus into your life “…he who comes to God must believe that He is a rewarder of them that diligently seek him ” Hebrews 11:6. This is when you know the truth that what you are doing is wrong. This may be the sparks that get you going. Sometimes we don’t let go because we are not sure that we are doing is wrong, dangerous or hurt. At this point you need a motivator called Love to help you care about the effect of your bad habit on others if you don’t care about it effect in your life. Awareness: sometimes your bad habit turns around and bites you. It gives you pains. You lose someone very dear to you, you hurt someone and you get into trouble because of it. Some people have to hit the bottom like the prodigal son in Book of Luke 15:11-32 before they start dealing with their problems. People who ignore the pain and get on are truly ignorant and rebellious in God’s eyes and deserve the condemnation that they will receive. Preparation: if for whatever reason, you are moved to look for a way out, a way to break your bad habit, the next step is to prepared and acknowledge the fact that we have a bad habit, now acknowledging thing is the hardest part because you know that when you admit a fault, you can no longer participate in it without guilt. You have to prepare to deal this habit; sometimes we’d rather defend our sins or keep our sins than abandon them. The best way to neutralize the power that bad habit has over us is to shine the light of truth on it by acknowledging exactly what it is and how it is hurting us. Action: we must be ready to share our problem with one another. Sharing our bad habit humbles us and in so doing prepares our souls for God’s blessings. 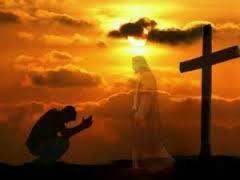 Luke 14:11 (KJV) says For whosoever exalteth himself shall be abased; and he that humble himself shall be exalteth. Ask for the help of the Holy Spirit because you cannot do it without the Holy Spirit, noboby kills sins in the energy of fresh. But if the Spirit of him that raised up Jesus from the dead dwell in you, he that raised up Christ from the dead shall also quicken your mortal body by his Spirit that dwelleth in you. Termination: you have to take a violent stand. There are some bad habits that will not leave you until you take a violent stand to terminate it. Beloved, sometimes the process of breaking a bad habit is not a straight path; it may takes from one stage to the next. Successful self-changers usually follow a path that’s more like spiral: they move forward, go back to the previous stage, and move on the next level of commitment one or more times before breaking the habit once and for all. Can you really free yourself from bad habits? Millions of people around the world are living proof that you can. You really have to sacrifice your evil pleasures and repent to God. You have to nail it to the Cross because sacrifice is at the heart of repentance, without deeds your apology is worthless. Beloved , repentance is the art of turning away from mistakes and failures (bad habits) and turning back toward what is good, true, and beautiful. 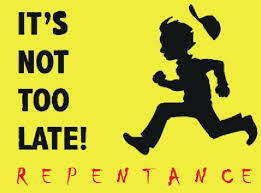 The Grace of God is always there but God’s grace without repentance, it condemns but with repentance it redeem. Beloved choose life. God has promised forgiveness to your repentance, but He did not promised tomorrow to your procrastination. what is your decision? What is your choice? Harden not your hearts as in the provocation, in the day of temptation in the wilderness. Beloved, are you still thinking? What is that bad habits that want to destroy your destiny, relationships, marriage, career, and Ministry. Listen please, you have to step out to begin the process of breaking that bad habit’s chain off your neck, tomorrow maybe too late, stop procrastinating. 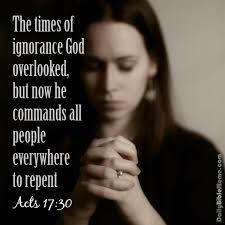 True repentance will entirely change you. The bias of your soul will be changed, then you will enjoy the divine relationship with God. God is talking to you why not break the chains of these habits off your neck. Likewise I say unto you , there is joy in the presence of the angels of God over one sinner that repenteth. Luke 15:10. Lord Jesus, thank you for accepting me. With my mouth today, I confess that Jesus is the Lord and I believe in my heart God raise him from the death; please come into my life as my personal lord and savior. I denounce all my bad habits; cleanse me from all my sins. Help me to work in your way. Create in me a clean heart o God and renew a rightful spirit within me. Restore unto me the joy of thy salvation; and uphold me with thy free spirit. In Jesus’ Name I (please mention your name) have pray. Amen. 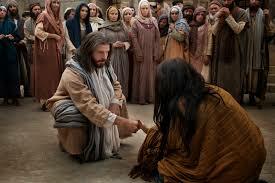 God bless you, welcome to the kingdom of our Lord Jesus Christ. …The kingdoms of this world are become the kingdoms of our Lord, and of his Christ; and he shall reign forever and ever. 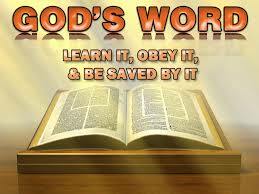 (Revelation 11:15) Amen. your comment are highly appreciated and please tell a friend about this blog and you will be bless! 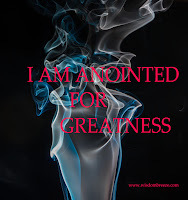 Great blog with great messages.. My first time here and am impressed..
thanks a lot for visiting and may God bless you abundantly in Jesus Name, Amen.